Add to that the fact that people now want fun and easy ways to make their special events memorable and its clear to see why Lyon Events exclusive Mirror Photo Booth is taking Jacksonville by storm! 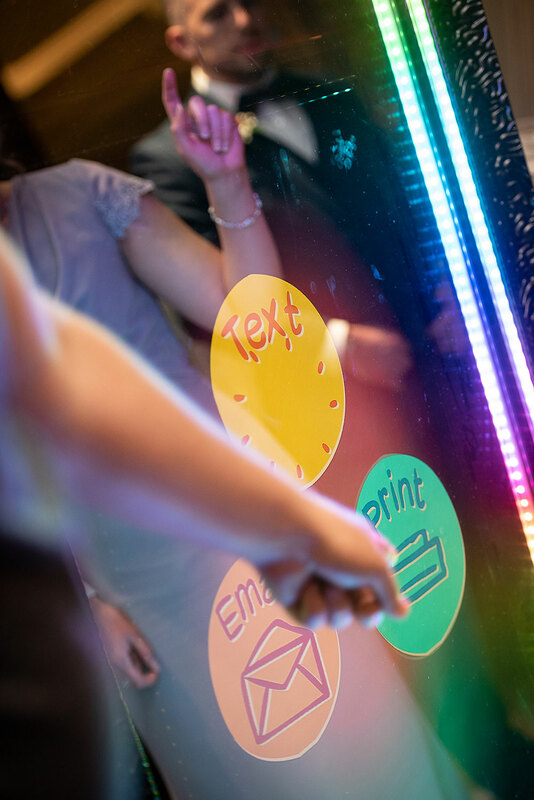 The Mirror Photo Booth offers hours of interactive entertainment for corporate events, product launches and activation in Jacksonville and beyond. 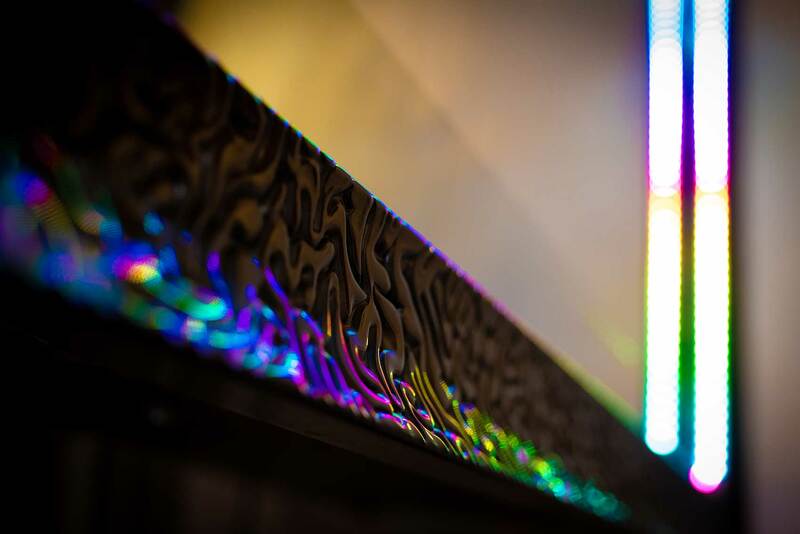 What to WOW your guests with something totally new & exciting? 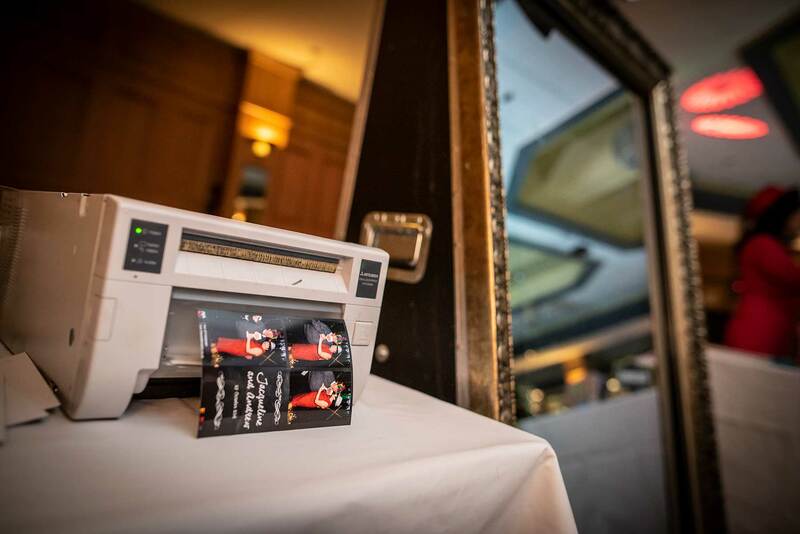 Talk to us today about having the Lyon Mirror Photo Booth at your next event. Our team will talk you through everything you need to know. Our Mirror Photo Booth comes armed with attitude and style, perfect for birthdays, proms, weddings, corporate events and much more! 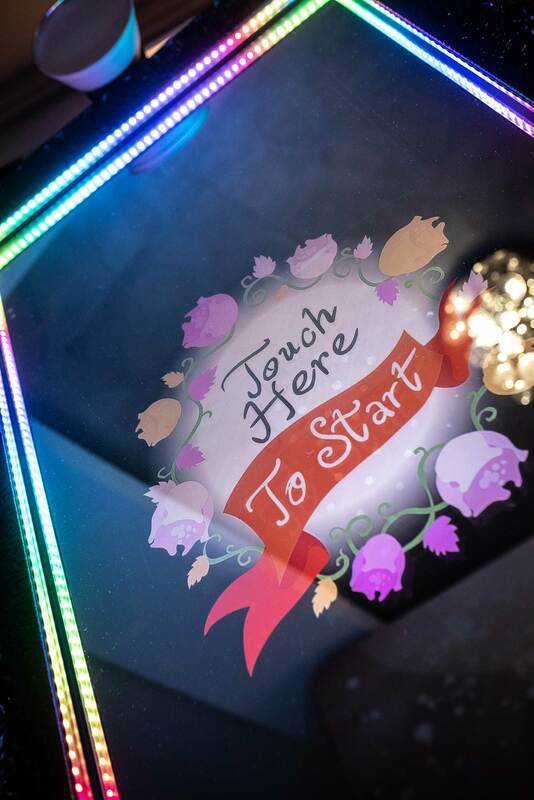 With every picture take interactive mirror responds with fun and unique responses, both verbally and on the mirror itself, and will keep your wedding or event guests entertained all night. Your guest is invited to interact with the mirror, laugh, smile and pose with fantastic props, before signing their creation! 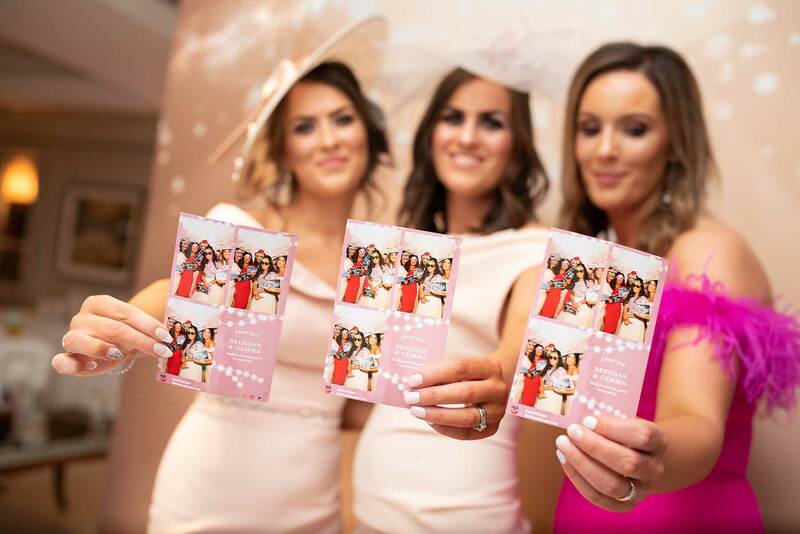 The pictures are then printed and your guest can take them away right there, email a copy to themselves and share to their social media sites, direct from the mirror. Experienced mirror buddy – On site throughout your event to facilitate for the duration of the mirror photo booth hire. Cool Animations & Voice Overs – Making it very interactive for your guests. Prop box– Packed full of hats, wigs, signs and masks. Unlimited mirror visits– Your guests can visit as many times as they want for the duration of the hire. Beautiful large gilt framed ‘magic mirror’. Choice of colour or black & white prints. Delivery, Set up & removal. You can choose from the classic double strip, 4 large photos or 1 large 3 small layouts. All photos are saved, uploaded to our Facebook page and a digital copy is sent to you following your event. Custom prints available to tie in with your event theme. 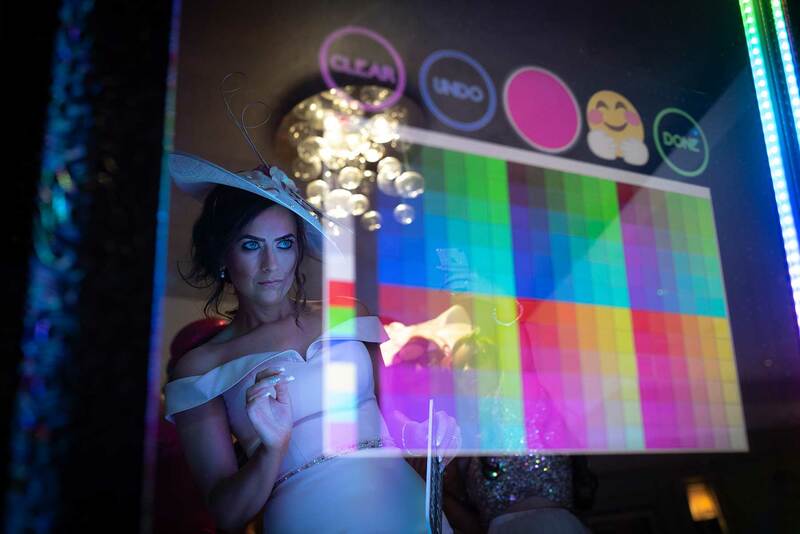 Glamorous and attractive, the Mirror Photo Booth will tie in neatly with every event theme, takes up less space than a conventional photo booth and can be set up and ready for action in just 20 minutes!